Last weekend we celebrated the Eighteenth Sunday in Ordinary Time, in which Jesus begins the Bread of Life discourses, in which he teaches that He is the Bread of Life come down from heaven. These teachings are not found in the synoptic gospels (Matthew, Mark and Luke), but only in John, who is writing later than the others and is deepening the theology of the Eucharist. In his homily, Fr. Mark draws particular attention to the ways in which the Old Testament point us to the New Testament: for example, manna as the precursor to Jesus in the Eucharist. Both are bread from heaven; neither one had anyone seen before. 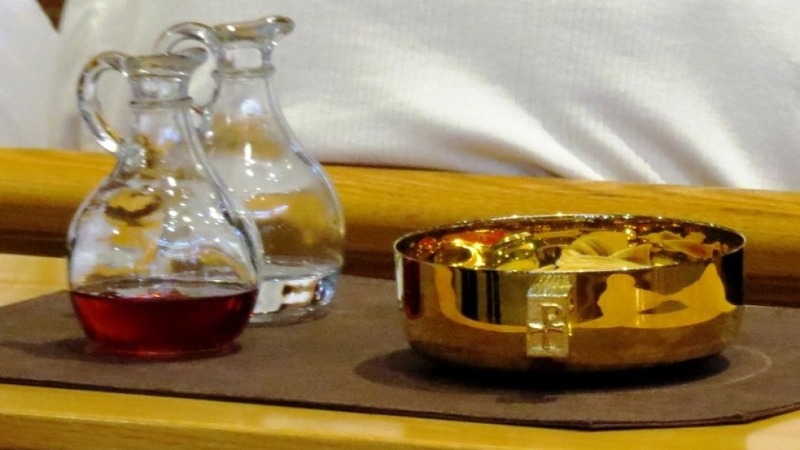 "Why is [the Eucharist] called the source and summit of our faith?" Father asks "Because everything comes from it and returns to it, because at the heart of this liturgy is Jesus Christ."